EXACTLY WHAT IS A MURAL PAINTING? Painting murals is usually done as larger works of art. Anything wall size or ceiling size is classified as a mural. Murals are created for interior and exterior use. Some are painted on the sides of barns as well as buildings, fences, etc. Some are done on framed canvas and hung on walls. 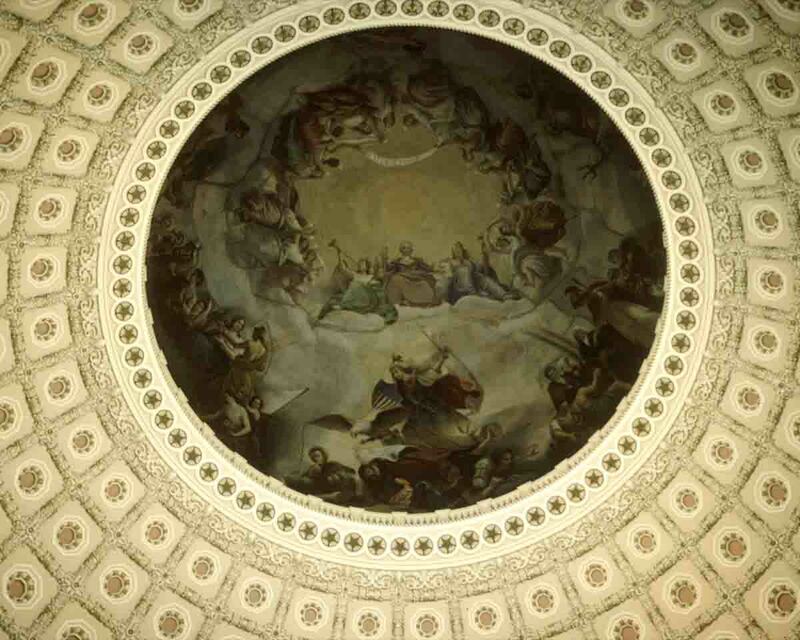 WHERE IS A MURAL PAINTING USUALLY DISPLAYED? People buy them to decorate their homes or maybe a restaurant. Businesses may buy large canvas-framed murals or have one painted directly on an interior wall or the outside of their building. Again, some murals can be large canvas framed works (done in a shop) to fit a large accent wall or they can be hand painted right directly onto a wall or ceiling. Sign painting on a larger scale is pretty much like painting murals. I had a friend who went into the sign painting business. I saw one of his works where he painted a large sign on the side of a beer store that had their name and logo painted onto the brick along with a nice background and border. Even though the wall of an average beer store isn't huge it still has to be planned or graphed out to make all the letters and graphics fit perfectly. HOW TO CREATE MURAL PAINTINGS There is no right way or wrong way to paint a mural. It is all practice and technique. 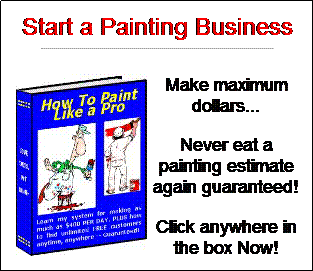 There may not be too many books out there on the subject of a mural painting business. It is suggested that you just start to experiment. I would suggest digging through books on the sign painting business. As mentioned above, some painted signs can take up a whole side of a building. Murals are drawn different from smaller works because of their size. Before you can paint or draw out a large mural, you have to plot out the project you are working on. Larger works (like the side of a large building) can make you feel more like a commercial painter than an artist. A mural needs to be planned and blocked out in squares. First on a sketch pad (planning pad) and then on the work being painted. Planning pads have sheets with tiny 1/4-inch squares. A wall, ceiling or building mural needs to be divided up into 1-foot squares. Each of those small 1/4-inch squares on your planning pad represent a square foot on the wall or building. You can even fold the paper in half, and fold it in half one more time (called quartering it) and this will show you your center mark. The best advice for creating a mural is to step back frequently and take a look at your progress from a distance so you don't get distortion of sizes. As my dad taught me in drafting, you want to first find the center point and work outward from there when setting up your blueprint or in this case, a mural. Sketching out your design after you set up your grid pattern of squares and finding your center point is necessary. Exterior paints is what I would recommend for larger exterior murals. If you use quality latex paints they should stay fade resistant for quite a few years. There is also sign paint. I would also use quality angular tip brushes from a paint store. You could also use a paint sprayer and mask and tape off areas to be sprayed. Of course if you don't plan on doing anything really large, you can skip the sprayer and use paints suited more for wall or ceiling murals. Artist paints like acrylics or oils. Again, the best advice is to just do it. Experiment, talk with sign painters, find out how they estimate and price their work, etc. There is a market out there for muralists. You just have to get your techniques going and people will want to buy your work. WHO BUYS MURALS? Art lovers, people who enjoy art in their home or business, people who appreciate the power and influence of art for their home or office, entrepreneurs who want to draw attention and customers to their business, etc. There are those who want to make an impression on their city. Museums also have and use large murals. WHY MURAL PAINTING? - if you like to paint and you would like to get paid well for it, then this type of artwork may be for you. If you like big projects, if you like to plan out your work on a larger scale, or have it be seen by a lot of people, if you like to add beauty to your surrounding environment, then murals are for you! Specialty painting pays very well. WHY MURAL PAINTING? - if you like to paint and you would like to get paid well for it, then this type of artwork may be for you.